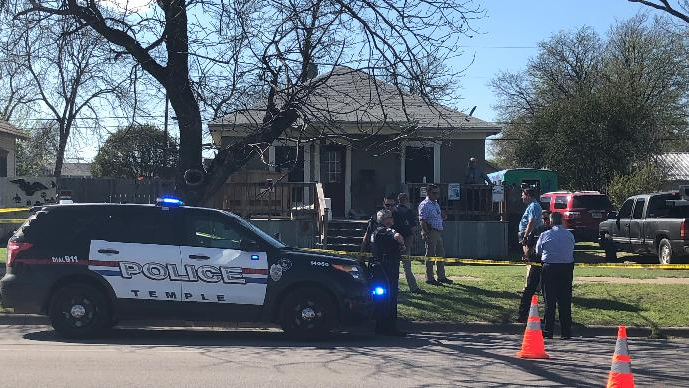 TEMPLE, Texas -- A 7-month-old who was shot by his 4-year-old brother Thursday afternoon remained hospitalized Friday morning in serious condition, reports CBS affiliate KWTX. According to Temple police spokeswoman Ellen Morton, the 4-year-old is in the custody of Child Protective Services. Police said they received a 911 call from a woman at 2:30 p.m. Thursday reporting a shooting. "We believe it was the mother of either one or both of the kids, she was the only adult that was in the house at the time," police spokeswoman Shawana Neely said. The station reports that Morton said when officers arrived two minutes later, they found the infant the 4-year-old had apparently shot accidentally. Neely said it was too early in the investigation to be sure of all of the circumstances surrounding the situation, including what weapon was used or how the little boy got a hold of it, but she reportedly said the shooting happened inside the house. Police didn't provide details about the infant's injuries and condition as of Thursday night. A family member who spoke to KWTX, however, said "it looked like everything was going to be okay" with the baby boy. According to the station, a mechanic with Smith's Family Automotive Care who was outside working on a jeep across the street said he saw the f4-year-old playing in the front yard while his mom was mowing, then later heard sirens and saw the infant being taken out in a diaper. "The officer was carrying it in his hands, it wasn't moving or anything," said Bradley Martin. "You could see blood and stuff on it ya know, my heart sank when I saw it, it really did." "If you're going to own guns lock it up, that's all I can say," he said. Next-door neighbor Marta Guillen told the station the family are good neighbors. "The woman is good people, a good mother, a stay at home mom who doesn't work and stays home with her children," Guillen said via a Spanish translator. Guillen and her husband also told KWTX the family had surveillance cameras overlooking the front and back yard so they could watch the children outside.